Many thanks for visiting. We aim to offer all our guests a memorable experience of their time in Skye without losing sight of affordability. 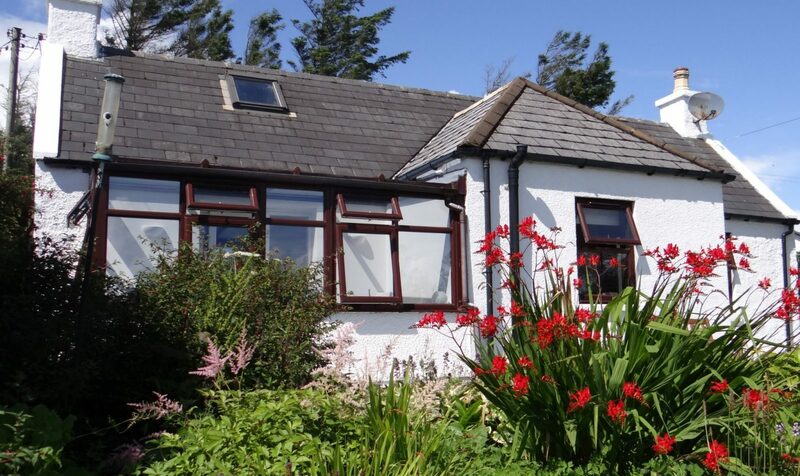 Whether you are looking for a cosy honeymoon retreat, a get-away from it all location to appreciate Skye’s wildlife, or an environmental activities focused family holiday, we hope that you will find plenty to like about Springbank. There’s plenty of things to do on Skye. Explore the website and discover what’s on offer. Stunning views of the Cuillin Hills. Boats to Cuillins and Loch Coruisk. Port Elgol beach half a mile away. Accommodation all on one level. Unlimited use of wireless broadband. Off street parking for several cars. Larder fridge plus fridge freezer. Tumble dryer and inside drying space. CD Player with docking station. Bluetooth speakers and USB charging. Plenty of books, games and puzzles.